I'm extremely pleased to be able to announce a new development regarding the Madeleine P. Plonsker Emerging Writers Residency. Jennifer Moxley, who any reader of this blog knows is one of my all-time faves, has graciously agreed to serve as judge of this year's competition. The winner will spend two months in residence at Glen Rowan House on the campus of Lake Forest College completing and revising the winning manuscript, which will then be published by the &NOW imprint of Lake Forest College Press and distributed by Northwestern University Press. In addition, he or she will meet with students and faculty, visit classes, and participate in the 2011 Lake Forest Literary Festival. And did I mention the $10,000 prize? We invite applications for an emerging poet under forty years old, with no major book publication, to spend two months (February-March or March-April 2011) in residence at Lake Forest College. Bob Archambeau, Davis Schneiderman, and myself will continue to administer the prize and winnow the field, but the final decision will be made by Jennifer Moxley. The first Plonsker Prize-winning book, Jessica Savitz's Hunting Is Painting, will be going to the printer soon. And Gretchen E. Henderson, the charming and ferociously talented author of the second winning book, Galerie de Difformite, is hard at work revising that piece of hybrid prose and generally making herself invaluable on our campus. Speaking of hybrid prose, the 2010 Lake Forest Literary Festival takes place next week, and the public is welcome to attend. In addition to Gretchen, the featured readers include Vanessa Place, Teresa Carmody, Lily Hoang, Angela Jackson, S.L. Wisenberg, and our keynote presenter, Shelley Jackson (author of the feminist Frankenstein cut-up Patchwork Girl and an acclaimed novel about Siamese twins, Half-Life). A complete schedule can be found by clicking on the link above. Finally, I've decided to attend this year's AWP after barely attending last year's and missing the New York conference altogether (my daughter was busy being born). Looking forward as always to old friends, new books, and overpriced hotel bar drinks. Perhaps the most sinister fact about the new math of poetry is that it allows the academic oligarchy that controls poetry to impose a nonaesthetic, self-serving scoring system without attracting notice or raising indignation. Since no one can possibly read the vast number of poems being published, professionals can ignore independent poets and reserve the goodies—premiere readings, publications, honors, financial support—for those fortunate enough to be housed inside the professional poetry bubble. This is a fair criticism, and an intelligent articulation of the protest that curdled into ressentiment in the days of Foetry. The publication possibilities for poets have exploded, but the oligarchical apparatus of recognition and initiation has not. These institutions exert the power they do because there is no market for poetry—the market being the only extra- or hyper-institutional force that our society recognizes as the ultimate court of appeal. Many poets celebrate what they see as the decline of the power of gatekeepers because that means there are no more barriers between their work and readers. But the common reader of poetry probably does still rely on some kind of middleman, be it the imprimatur of a famous poet or just a website like Poetry Daily, which as Alpaugh points out is a largely uncritical distributor of oligarchy-approved poems. Still, I find it strange that his touchstone poets—his examples of poets whose work would never have survived without institutional support and rescusitation—are Blake and Dickinson. They make for a strange pair. Blake, you will recall, was a print-maker, and thus very much the owner of his own means of production and reproduction. Dickinson, of course, famously declared that "Publication - is the Auction - / Of the Mind of Man -" and in a sense was also her own "publisher," sewing up her fair copies into fascicles so as to, like Berryman's Henry, "hide the pieces, where they may be found." 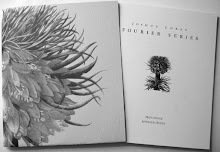 In their eccentric way, they might offer better paths forward than tsk-tsking over the problem of poetic overproduction. Yesterday a student came to talk to me about grad school. Mindful of the dismal prospects, I urged her to think carefully about the decision, to recognize its likely economic consequences, and to take a year or two off after completing her undergraduate degree before applying. But the best advice I gave her—advice I would have liked to receive when I was in my twenties—was not to put her trust in institutions. 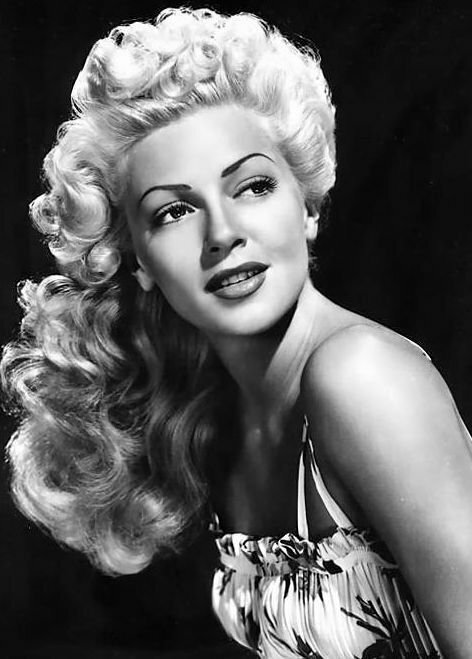 Instead of waiting to be recognized, Lana-Turner-at-Schwab's style—or worse, disciplined, shaped into a round academic peg that may never discover any holes, round, square, or otherwise—any writer today needs to DIY, even—perhaps especially—those who have found some kind of institutional niche. To succeed as a writer—and I define "success" quite simply as being able to continue in one's work—you not only have to "create the taste by which [one] is to be relished" (Wm. Wordsworth) but you have to create relationships and infrastructure and paths of distribution. Start a press, start a blog, form a reading group, start a reading series. If you can synergize with institutions, do so, but don't sit around waiting for them to recognize or rescue you: they can offer you everything but initiative. This is the best path I've found for resisting the otherwise inevitable alienation from one's own creative labor that comes from permitting oneself and one's work to be processed by workshops and editors and tenure committees. "Self-promotion" is a crass phrase, or rather a class phrase: I was raised to be squeamish about such things because I grew up in the middle-class "meritocracy" with the assumption that the privileges I was born into would be continued automatically, provided that I did well enough on standardized tests to go to the "right" schools. Needless to say, neither I nor many other people from such circumstances can afford to go on thinking this way. This is not something to be regretted. At the same time, I'm not advocating that writers shrug their shoulders and just convert to the cult of self-commodification. I'm not quite sure that the phrase "the poetry of self-promotion" will ever enable me to see self-promotion itself as poetic. (Though I can't help but be skeptical about the corollary saying of Robert Graves', "There's no money in poetry but there's no poetry in money either.") But I do think that what poetry you promote and how you promote it matters, and that ultimately we can't and shouldn't separate a poem from the context of its production and means distribution. Pure conceptualism negates the need for reading in the traditional textual sense—one does not need to "read" the work as much as think about the idea of the work. In this sense, pure conceptualism's readymade properties capitulate to and mirror the easy consumption/generation of text and the devaluation of reading in the larger culture. Impure conceptualism, manifest in the extreme by the baroque, exaggerates reading in the traditional textual sense. In this sense, its excessive textual properties refuse, and are defeated by, the easy consumption/generation of text and the rejection of reading in the larger culture. Poetic overproduction here is no longer cause for nostalgia for an imaginary past in which there was "just enough" poetry, Goldilocks-style, and only the right sort of poems received prizes. Instead, "the new math" that Alpaugh laments takes its proper place as a symptom of the larger crisis/"rejection" of reading, which is in turn contextualized as a symptom of technological change/acceleration ("the easy consumption/generation of text"), which in turn may be conceptualize as a symptom of the current state of capitalism, which finally leads us to something resembling reality. That is, poetry's problem is everyone's problem: there are more and more people on the planet every day whose participation in labor or collectivities of any stripe are becoming less and less meaningful, as we trade our labor and agency for the false freedom of consumer choice and the increasingly tattered illusion of "security." Or as Richard Greenfield puts it in his poem "Harm": "one is so small in the age of terror as to be vast..."
The paths of conceptualism that Place and Fitterman describe confront this logic head-on via "strategies of failure" which are also "assassination[s] of mastery" (a strongly political move when these strategies are in the hands of anyone not historically a "master"—that is, anyone not white, rich, heterosexual, and male). * This is, perhaps needless to say, not a path likely to appeal to Alpaugh. 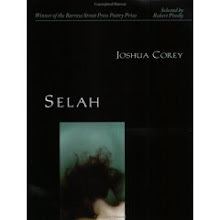 I don't know his work (but I see he's published one book with the New Formalist house Story Line Press), but everything about his essay points toward nostalgia for mastery and the hierarchically controlled access to mastery that a smaller world of poetry would provide. Yet his touchstones, Dickinson and Blake, were both strategists of failure, not only in their eccentric paths to publication, but in their highly allegorical and linguistically/imagistically excessive work. 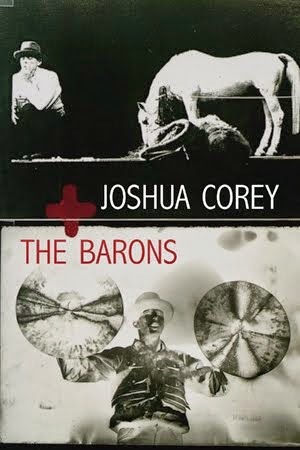 There's an intrinsic connection, there to be discovered, between these poets' production/reproduction and their historical experiences at the dawn of the Industrial Revolution (Blake) and the rapid economic and territorial expansion of the U.S. (Dickinson). And I would suggest that writers today need to think closely the connections between what they write, how they publish it, and the scene of writing at this moment of textual—and human—devaluation. * It's hard for a white male heterosexual to pull off conceptualism without the gesture being recuperated into his pre-existing privileges: Kenny Goldsmith's career is certainly not suffering for his being the poster-boy for "uncreative," "de-authored" writing. Even Kent Johnson, whose heteronymia offers perhaps the most promising means of attack on mastery, hasn't done too badly for himself in terms of notoriety, as well as the more meaningfully narrow terms of "success" as I defined it earlier. This is not to denigrate the work of Goldsmith or Johnson, both writers I admire; I just want to acknowledge that their apparent subject-positions create meaningful difficulties. The ordinary meets the apocalyptic in Richard Greenfield’s Tracer, as mundane activities—reading the mail, household repairs, stopping by a garage sale, taking a hike—“leak autobiography” ("The Sign," 37) and the speaker confronts himself with the twin burdens of isolation and being American in a time of war and paranoia. As Andy Frazee notes in his review of the book, "Greenfield upends Whitman’s paradigm of personal and national self-making, reversing it into a question of how much of the self is self-made and how much is received or constituted by the culture." There always was a lonely side to Walt Whitman: his eagerness to merge with everyone and everything he sees suggests an anxiety about the insufficiency of ordinary human connection: the speaker in Leaves of Grass has no blood relations, no non-imaginary lovers, does not/cannot marry, has no fixed place of employment, has no identity smaller or more constant than "an American, a kosmos, one of the roughs." The speaker in Greenfield’s book is a Whitman drained of optimism and thus all the more absorptive and spongelike; caught in a Beckettian updraft, he can't go on and does. Unable to disidentify with his own imperial self ("Self-hatred eventually coils upon itself" ["Rezone," 55], the speaker of these poems (many of them named for high-tech weapons systems: Maverick, Bastion, Hellfire) nevertheless, through a kind of caustic irony, attempts to dissolve the boundaries between himself (on "the outskirts," from "the fringe month") and the remote possibility of a reader. One of my students reading the book yesterday reminded me of Greenfield's poem "Avenger," published in the first issue of the late lamented journal Soft Targets; a poem written for Tracer that does not appear in the published book. To my eyes the poem represents a transition or hinge between the romantic-in-spite-of-itself Carnage in the Lovetrees and the bleaker, more astringent Tracer. "Avenger" (another weapons system, I imagine) locates the "I" on an actual or apparent battlefield, whereas the violence haunting Tracer is all at a far distance, thus depriving its speaker (hereafter, "the Tracer") of even the ghost of heroism that, say, Whitman accrued to himself by nursing wounded Civil War soldiers. The "Avenger" stages a scene of complicity with imperial violence that, in context, reminds me of the feckless torturer-poet of Kent Johnson's poem "Get the Hood Back On". In Wordsworth's poem, later incorporated into The Prelude, the doomed Boy shouts and hears nature respond, his sense of self magnified by its resonance with the voice of naturethough the poem suggests that what he hears, what most moves him, "Listening, [into] a gentle shock of mild surprise" is not "the voice / Of mountain-torrents" but "echoes loud / Redoubled and redoubled." For the Tracer, the voice is "Weapon Alpha" in the war for the self's dominion, and as such must be put into question or suspended so as to make listening to the Other (surely the diminished Nature of his world and ours, but also the political Other, racial and national Others, as well of course of the unconscious Other that je is). If there's any salvation for the Tracer it's in the otherness of poetry itself, and the possibility that the situation of the (Romantic) poemthe voice crying in the wilderness, hoping to absorb its manais not a place but an event. Which word I can't help but read in its Badiouan sense, as that which inaugurates subjectivity in the realms of politics, science, love, or art, through the new subject's fidelity to it. In poetry, as Badiou's inaesthetics puts it, such fidelity is achieved either through Rimbaudian multiplication (so that the false authenticity of the self in effect cancels itself out to become the void-space from which a responsible subject might be born) or Mallarmean subtraction (there is no self and no world either, only words that are the antithesis of "voice," presenting the void directly). 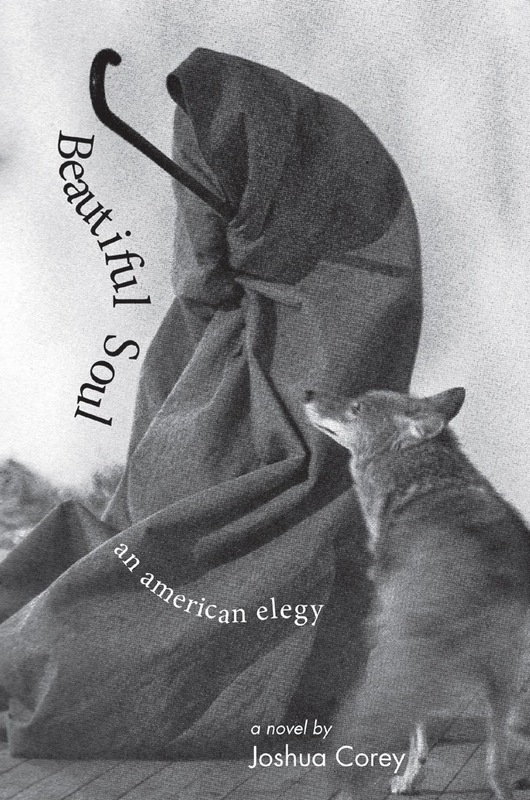 Tracer, then, represents a surprising shift toward Mallarme for this poet, who has written a book that articulates a rare American negativity, out of which something beyond the deadly equation ("Already I am we," ["Speaking For," 13]) of the reflexive self might emerge. My appetite for opinion waxes and wanes. In the years of graduate study, I was driven to test the strength and ductility of my own opinion—to try enthusiasms, as a plaintiff tries a cause. I thirsted, too, for others' opinion, most especially on poetic and political subjects. But that appetite has, for the moment, worn itself out and down to the nub. "Watch this space." Not in expectation of novelty, but because the space exists and can, will, change. I keep some space for myself. What's at hand: teaching, family, the occasional poem (itself occasional of a train ride, a black mood, news that's hard to swallow), novel-writing. I swim in this last like you swim in the ocean, parallel to the shore, suspended between painful shallows and unfathomable depths. I don't know what fiction is. I reach, swim, kick. Reading. New books still come and some of them capture my attention. Last week, two very different books: from Coach House a work of what Rodrigo Toscano calls "the most realized conceptual-modular book of political poetry I've read to date," Rachel Zolf's Neighbour Procedure. A work of radical and rigorous empathy for Jew & Arab. One poem, "Grievable," consists entirely of a list of Arabic names. The final section, "L'éveil," is comprised of what the book's "Afterthought" calls "four remnants of an otherwise abandoned poem on Israel's thirty-three-day war in Lebanon that started July 12, 2006 and was my original awakening to this project." I should think that the "conceptual-modular" would be a node that would want to resist or subvert aestheticization of politics (and Zolf would seem to want this given a poem in another section titled "Anticipate (peut-être)" that asks if Walter Benjamin was "the first suicide / Bomber"), but I'm continually distracted by how physically beautiful the book is: its printing, and that gorgeously textured paper, like cotton, that Coach House always uses. 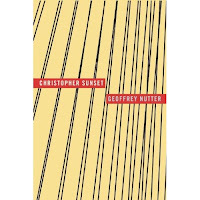 The other book is Geoffrey Nutter's latest from Wave Books, Christopher Sunset. His book A Summer Evening made a powerful impression on me for its old-fashioned limpidity and its deployment of a series of short poems (all ten lines, it's brother to Cort Day's The Chime, which also influenced my idea that a serial lyric could sustain a whole book) The poems here vary more in length but they still follow the law of the brief lyric, presenting moments of varied quality and making them beautiful by articulation and tongue-in-cheek ontology. I feel a kinship with this writing, its debts to Wallace Stevens and James Schuyler. It would seem antithetical to Rachel Zolf's political theater, but there are moments in which its investigations of slipped being interface with a recognizable world of wounded cities (New York hovers in the background but names are reserved for places like Teaneck). But the crucial difference between Nutter's poetry and Zolf's, I think, has less to do with politics per se and more to do with solitude. Nutter's poems partake not of Quietude but of quiet: the speaker seems alone in a world of mutely significant objects, even when those objects have names (as in the very funny "Poem against Winthrop") or when the speaker's own family appears (but they appear as frozen images, as in the poem "Family Portrait "). Whereas Zolf's world is raucous, contested, its heteroglossia weighted both ethically and aesthetically. And so I find myself tempted once again to re-enter the arena of opinion, which too often is the assertion of a dumb binarism: updating rather than critiquing a tired old dyad like School of Quietude vs. Post-Avant into monoglossia vs. heteroglossia, intuitive versus deductive, assertion versus document. Why play this game? Why not just let the poems be the poems? And permit myself to feel strongly drawn to both kinds of work, and to permit myself to range freely between those polarities in my own writing, rather than attempting any kind of synthesis or middle space or even any American Hybrid™? So I beat on back into silence, figuring, letting words be words, deferring my own hot air.